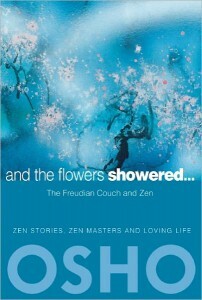 Zen has often a deeper insight into our minds and psychology than the much later developed psychology of Freud. We can really learn something about ourselves and our main human issues from the world of Zen. Using eleven Zen stories as a starting point and diving deep into their mysterious world, Osho then weaves his magical clarity on many diverse contemporary topics. From the true meaning of happiness to an understanding of the process of death, it’s all here. To begin reading this book is to commence a journey into the world of wonder. This entry was posted in eBooks, eBooks OSHO Media. Bookmark the permalink.